A diver with full foot fins. 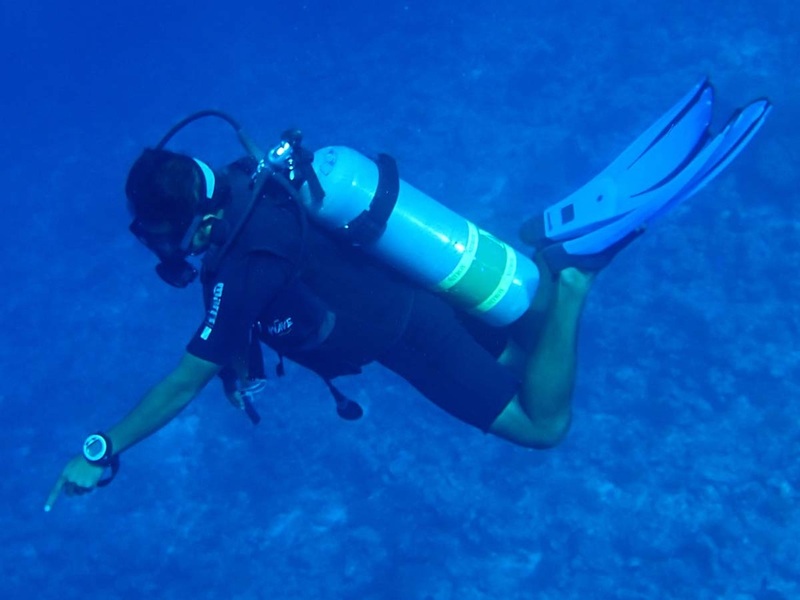 Open heel fins require the diver to wear dive boots. The fins convert your kicks into forward movement, which should be done with minimum effort. Fins comes in all sizes and shapes. 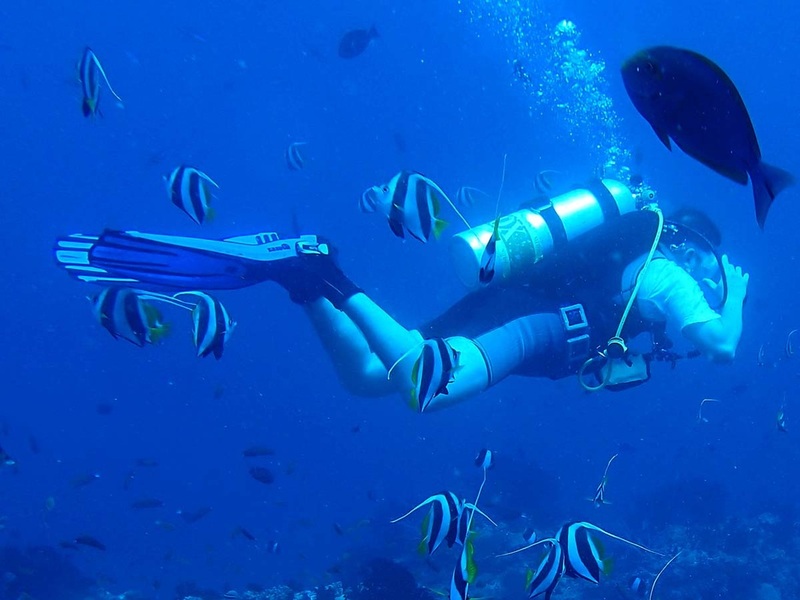 Some are very efficient, while others have poor performance, and you will waste your energy (and air) while you are trying to keep up with the other divers. Fins are either full-foot or with open heel. Full-foot fins are easy to maintain, but must fit your foot. Open heel fins have adjustable straps and requires that you wear dive boots. When it comes to price, you will discover that expensive fins are not always the best fins. Fins priced at USD 50 may be more efficient than fins that cost two or three times more. My best advise is to check reviews on internet and make a list before you go the the dive shop.